Newbawn is in Adamstown Parish, Co Wexford. The Sweetman family was associated with this parish from the 15th century, and Bishop Nicholas Sweetman was born in the parish. This branch of the Comerford family appears to have been closely related to the Comerfords of Bunclody and Kilkenny [see Chapter 8: Comerford of Bunclody and Dublin], and they were closely related to the Sweetmans of Newbawn. The Revd Laurence Comerford is sometimes described as a nephew of Bishop Nicholas Sweetman, and his brother, Nicholas Comerford, was named after the bishop. EDWARD COMERFORD (?ca 1721-post 1762) was living at Brownstown, near Newbawn, Co Wexford, in 1762, when Edward Comerford, Mathew Murphy, John Byrne and Thomas Burke were among the displaced Catholic tenants who had been evicted by Robert Leigh (1729-1802/3), the landlord of Rosegarland. They “tried hard to prevent the new Protestant tenants from settling on their lands,” and William, Samuel and Richard Cottoms “were made to feel in every way the displeasure of the old occupiers.” The eviction of Edward Comerford and the others has been linked to the moves by Leigh to settle the area with Protestant freeholders who would vote for the Tottenhams of New Ross. At the outbreak of the 1798 Rising, John and Samuel Cottoms were among those killed in the massacre at Scullabogue Barn near New Ross. 1, (The Revd) Laurence Comerford (1751-1847), born in Newbawn, of whom next. ● 1a? Mary Comerford (ca 1776-1841). ● 2a? Patrick Comerford (ca 1779- ) of Dungulph (see below). ●● 1b, Brigid, born on 10 August 1803. ● 4a, Margaret, married ... Mernagh. 3, Nicholas Comerford of Horetown (ca 1755-1825), of Horetown, Co Wexford, of whom after his brother Laurence. 4? Mary (ca 1765/70-post 1795). She married John Carty of Fethard-on-Sea, Co Wexford, and they had a son, Michael Carty (1795- ), baptised on 29 October 1795. (The Revd) LAURENCE COMERFORD (1751-1847), of Newbawn and Adamstown. He was born in 1751. The house where he was born was still pointed out in 1986. He was related to Bishop Nicholas Sweetman (1700-1786) of Ferns, and to the Fitzhenry and Murphy families. He was a cousin of Father John Fitzhenry, Parish Priest of Bannow, who died in 1782, or of John’s nephew, Canon Michael Fitzhenry (1740-1789), a nephew of Bishop Sweetman. The Revd Thomas Murphy (died 1768) of Ballyclemock was a first cousin of Father Laurence Comerford and of Father John Fitzhenry. Laurence Comerford was ordained by Bishop Sweetman, and the first record of his ministry is in 1782, at the age of 30 or 31, when the “Rev Mr Cummerton” and Loughlin Doyle were witnesses at a wedding in Cushinstown. On 9 November 1789, he was sent to work as a curate with Canon Michael Fitzhenry, Parish Priest of Bannow, who had fallen into ill-health that autumn. Canon Fitzhenry was a nephew of Bishop Sweetman, who had died three years earlier, and his predecessors at Bannow included the Revd John Fitzhenry, who was curate 1751-1782, a cousin or uncle of Laurence Comerford. Less than a month after Laurence Comerford’s arrival in Bannow, Canon Fitzhenry died on 4 December 1789. He was only 49, and was buried in John Fitzhenry’s grave in Adamstown. A fortnight after Canon Fitzhenry’s death, the Revd Andrew Devereux, curate of The Hook, was appointed to Bannow on 17 December 1789 as Parish Priest of “Bannow, Carrig, Ambrosetown, Ballynulty, Shimogue, and Ballylingly.” On the same day, Laurence Comerford was transferred as curate to the parish of “Ballymore and Mayglass,” where his parish priests were Canon Peter Sinnot, until 1795, and the Revd Aedan Ennis. His time in that parish was marked by the events of the 1798 Rising. The church at Mayglass was burned by soldiers who were retreating from Wexford to Duncannon on 30 May 1798. Three years later, in 1801, Bishop Caulfield returned Mayglass parish as worth £50 a year, with a curate. In 1802, Laurence Comerford was made Parish Priest of Monageer, then known as Clone and Boolavogue, succeeding the Revd Patrick Cogley, who had been the victim of vicious Orange attacks, and who was transferred to Duncormack or Rathangan parish. The parish of Clone and Boolavogue represented the old parishes of Clone, with portions of Templeshannon (Enniscorthy), Ballyhuskard and Kilcormack. Boolavogue, which was then a curacy in the parish, is still closely linked in folk memory with the 1798 Rising and Father John Murphy of Kilcormack. One of Laurence Comerford’s first tasks as the new parish priest was to rebuild the chapel of Boolavogue, which was set on fire on 27 May 1798 when John Murphy was curate. Laurence Comerford “laboured zealously until his retirement in 1816. He went to reside with his relatives in Adamstown.” His successor as parish priest was the Revd Nicholas Codd, previously a curate in Enniscorthy. Laurence survived another 29 years, living in retirement in Adamstown. In his old age, he was totally blind and was led around the roads of Newbawn by his nephew. He had a reputation as a healer, and people came from far and near to visit him. He died on 5 September 1847, in his 95th year. His inscribed tomb can be seen in the old cemetery in Newbawn. 1, Patrick Comerford (ca 1785? - post 1853), of Horetown South, of whom next. 2, Nicholas Comerford of Clongeen, Newcastle (ca 1787?-post 1833), of whom after Patrick. 3, John Comerford (ca 1784-post 1842), of Newbawn, of whom after Nicholas. 4, Thomas Comerford (ca 1786-post 1824), of Horetown, of whom after John. 5, Matthew ‘Matty’ Comerford, (ca 1789/1790-1825), of Horetown, died aged 35. 6, Catherine, married Michael Cullen of Newcastle, Co Wexford, and had at least five children, fours sons, William, Edmund, Jeremiah and John Cullen, and daughter Margaret (Tynan). 7? Margaret (Peggy), who married John Carty. They had four daughters and two sons, including twins. 8? Margaret, who married James Barron and had two sons, James Barron and Michael Barron. 9? Anastasia (‘Anty’) (born ca 1785/90), who married Thomas Pender of Ballyclamock and had at least two sons, James Pender, born in 1815 (? if he was the same James Pender who married Judy Comerford), and Luke Pender, born in 1818. 10? Mary (ca 1799-1873). Born ca 1799, she married William Power of Ballinteskin, Co Wexford. Mary died on 14 March 1873, aged 73, and is buried in Newbawn, Co Wexford. ● 1a, Patrick Comerford, born in 1844. ● 2a, Margaret, born in 1844. ● 3a, Mary Anne, born in 1846. ● 4a, Elizabeth, born in 1847. 3, Patrick Comerford (1826-post 1846), twin with his brother John. ● 1a, Moses Comerford (1855- ). ● 1a, Nicholas Comerford, born in 1846. ● 2a, Simon Comerford, born in 1851. ●● 1b, Edward Comerford, born in September 1863. 2, Brigid, born in 1814. 3, Margaret, born in 1816, died in infancy. 5, Patrick Comerford (1821-1824) of Newcastle. JOHN COMERFORD (ca 1784-post 1842), of Newbawn, Adamstown Parish, Co Wexford. Born ca 1784, he held two lots of land in Newbawn in 1834: 10 acres on which 16s 8d was due in tithes, and 5 acres 2 roods 20 perches, on which 5s 11d was due in tithes. He married Bridget (‘Biddy’) Redmond. He was still living in 1842. 1? Judy, who married John Pender (above). 2, Bridget, baptised on 17 December 1814. She died in early childhood. 3, Bridget, baptised 21 September 1817. She married Philip Carty and they had a son, Patrick Carty, born in 1846. 4, Anastasia, baptised on 17 December 1818. She married Pat White of Rath... and they had a daughter Catherine (born 1845). 5, Edward Comerford, baptised on 3 January 1820. He probably died in childhood. 6, Laurence Comerford (ca 1821/1822-post 1869), of Newbawn, of whom next. LAURENCE COMERFORD (ca 1821/1822-post 1869), of Newbawn. He was born ca 1821/1822. 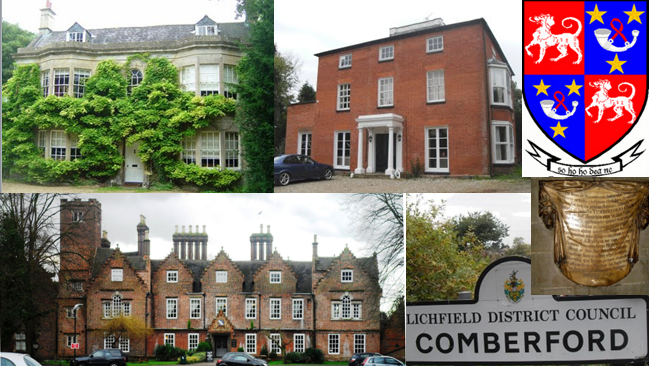 Griffith’s Valuation shows that in 1853 he was a tenant of Peter Sweetman for a house, office and lands totalling ca 35 acres, valued at £17. He was still living in Newbawn in 1869. 1, John Comerford, baptised on 3 September 1851. 2, Margaret, baptised in November 1856. THOMAS COMERFORD (ca 1786-post 1824), of Horetown. He was born ca 1786, and was living in 1824. 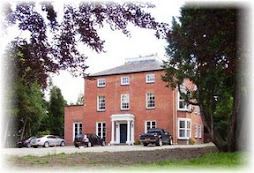 He married Mary Roche or Roach, who was still living in 1853, when she was a tenant of Lord Carew. 1, Mogue or Morgan Comerford, born in 1816. ● 1a, John Comerford of Horetown, living in 1853. 1, Edward Comerford (1809-1809), born in New Ross on 14 December 1809, he died ten days later on 24 December 1809. 2, Laurence Comerford (1813-1897), of whom next. 3, Elizabeth, born in 1816. 4, Catherine, born on 3 December 1818. 5, Mary, married on 22 April 1841 John Furlong of Templetown, Co Wexford. 1, Rosann, baptised on 30 January 1838. 2, Paul Comerford (1842-1866), born on 25 January 1842, baptised the next day. He died in 1866 aged 24. 3, Mary, baptised 12 September 1844. 4, Alice, born ca 1847, she died unmarried on 21 August 1879, and is buried in Saint Mogue’s Churchyard, Fethard-on-Sea. 5, Patrick Comerford (1848/1849-1917), of whom next. 6, Laurence Comerford (1854-1898), born on 1 June, 1854, baptised on 3 June 1854. He died on 8 March 1898. PATRICK COMERFORD (1848/1849-1917), of Grange, Fethard-on-Sea, Co Wexford. Born in 1848/1849, he married in 1875 Catherine Foley (ca 1852-1898). Patrick died aged 68 on 2 September 1917, and is buried in Saint Mogue’s Church of Ireland Churchyard, Fethard-on-Sea. Catherine died on 8 March 1898 and is buried with him. 1, Alice, born in 1876. 2, Laurence Comerford (1878-1917), of whom next. 3, Anastasia, born on 24 July 1880. 4, Margaret, born ca 1881/1882, living in 1901, aged 17. 5, Mary A, born 1886. She died unmarried on 1 February 1906, and is buried with her parents, aunt and grandfather in Saint Mogue’s Church of Ireland churchyard, Fethard-on-Sea. 6, Patrick Comerford (1888-1941), of Fethard-on-Sea, Co Wexford. Born ca 1888, he was living in Fethard-on-Sea at the time of the 1911 census. A Merchant Navy able seaman on board the SS Clune Park (Greenock), he died at sea on 12 February 1941, aged 52. The SS Clune Park was one of the 19 ships in the unescorted convoy SLS64 when it was attacked by the German cruiser Admiral Hipper. Like his elder brother, Laurence Comerford, who died at sea during World War I, Patrick is named on the Tower Hill Memorial in London. 7, Elizabeth, born 1893, living 1901, aged 8. LAURENCE COMERFORD (1878-1917), was born in Fethard-on-Sea, Co Wexford, in December 1878, and was baptised on 7 December 1878. He married Anastasia Hawkins and they lived at 5 Presentation Row, Waterford. An able seaman on board the SS Coningbeg of Glasgow, he died at sea on 18 December 1917, aged 39, just 2½ months after the death of his father, when it was torpedoed in Caernarvon Bay by the German submarine U-62. Although registered in Glasgow, the SS Coningbeg was from Waterford, and was sailing home with a crew of 40 and four passengers when it was torpedoed without warning. There were no survivors. There were harrowing scenes on the Waterford Quayside as women and children waited in the wet and cold of winter for news of their loved ones. It was after Christmas before the sinking of the SS Coningbeg and the SS Formby within days of each other, a total loss of 83 lives – the worst disaster to befall Waterford in the 20th century. Like his younger brother Patrick Comerford, who died at sea during World War II, Laurence is named on the Tower Hill memorial in London. 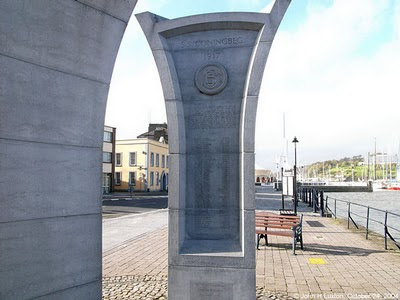 Laurence Comerford is also named on the War Memorial to the SS Coningbeg on Adelphi Quay, opposite Reginald’s Tower in Waterford, unveiled by President Mary Robinson on 21 December 1997. The deaths at sea of the two brothers Laurence and Patrick Comerford during the two World Wars brought to an end the male line of the Comerfords of Dungulph, who had been associated with Fethard-on-Sea since the beginning of the 19th century. Grattan Flood, p. 94; Hilary Murphy, p. 00. Whelan (ed), Newbawn, pp 26, 28. Whelan (ed), Newbawn, p. 29. TAB 31/49, ff. 181-19; Whelan (ed), Newbawn, p. 11. PV 31/3, p 206; see Whelan (ed), Newbawn, p. 113. Tom Burnell and Margaret Gilbert, The Wexford War Dead: a history of the casualties of the world wars (Dublin: Nonsuch, 2009), pp 62-63. Burnell and Gilbert, The Wexford War Dead: a history of the casualties of the world wars (Dublin: Nonsuch, 2009), pp 62-63. Last updated: 22 April 2008; 15 and 16 August 2009; 13 January 2010, 10 October 2010, 19 November 2010; 6 March 2011, 5 April 2013. What a fantastically professional looking and informative blog. I found it when I was looking for other Fitz-Henry references on the web. I hope that I will be able to find a link between your Fitz-Henrys and those in my research. The Fitz(-)Henry one-name study at the Guild of One-Name studies. I have just seen your blog and have Comerford ancestors from Newbawn, Adamstown area. I believe they are definitely persons mentioned here.My great great grandmother was Margaret Comerford b. c1800, her husband was John (Mc)Carty b. c1800, died circa 1840 in Newbawn of a cart accident. While name was McCarty, Griffiths Eval has as Carty. While your blog says 6 daughters, 2 sons, our family lore said 10 total children. Definitely two sons, John McCarty b. 1825, James 1828, Mary 1832, Kate b?, Bridget McCarty Daly b Feb 17, 1835 Newbawn. Because of facts in your blog, I believe my great great grandmother Margaret Comerford McCarty was the daughter of Nicholas Comerford ca1755-1825. Until now I was aware Margaret had other siblings, but didn't know their names. I also believe she was definitely related to your Rev. Laurence Comerford c1751-1847. Because when John McCarty suddenly died 1840, all but the youngest infant babe were shipped off to live with other relatives. My great grandmother, Margaret Comerford's daughter, Bridget McCarty Daly, was sent to stay with an uncle, a retired priest who lived somewhere nearby with his sister. Our family oral history said he was a jesuit but he may not have been. Bridget remained with them until the death of the priest uncle and his sister. Bridget emigrated to USA, and wound up in New Jersey. Also, to my knowledge she had a Comerford male relative who also wound up living in New Jersey too. One of her children was named Margaret Comerford Daly. One of her sons was named after an uncle, Laurence. At least three of her other siblings definitely,in time, emigrated to USA also, but I don't know what happened to the rest. These are all reasons why I'm pretty certain this is same people. Also on your blog of this part of Comerfords, I see some other marriages with other Carty's in the Newbawn Adamstown area, which makes me more sure also. Would really hope you would be in contact with me. Hoping to hear from you. Thanks for your great blog!